Getting into the mindset of your customers. Unrivalled Total Cost of Ownership through applied Agile processes. Cegeka builds successful software products that users love. Your users. From business goal discovery and UX research to TDD-based development, CI/CD deployment and lean maintenance, our Product Studios will add software development expertise to your software product vision, creating user experiences that will last in time and bring business value. It’s not about the product, it’s about your business, your clients and the end results. Our dedicated Innovation Center is in constant sync with the market and churns out new ideas, concepts and technologies which can benefit your product. Carefully observed Proofs of Concept validate if said innovations can benefit your customers or not. Most organizations are challenged with the constant pressure of keeping the product alive, causing them to lose sight of future developments. With elastic resource allocation and time-tested processes, we can help you overcome this barrier. Releasing versions only to discover they are riddled with bugs is no easy trip. 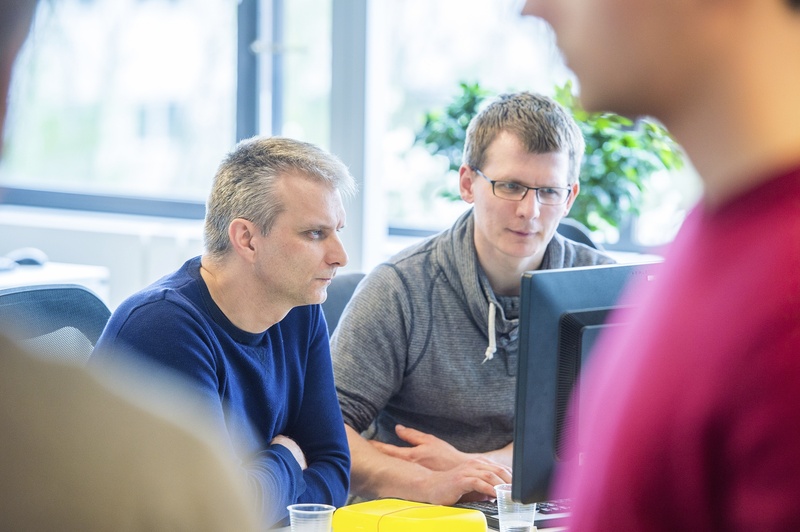 Using Test-Driven Development (TDD) and Continuous Integration and Deployment (CI/CD), we ensure stable versions of your product, with competitive TCO in the long-run. A stable team (we have great personnel retention rates), collective code ownership and pre-determined SLAs will help you to a care-free sleep. 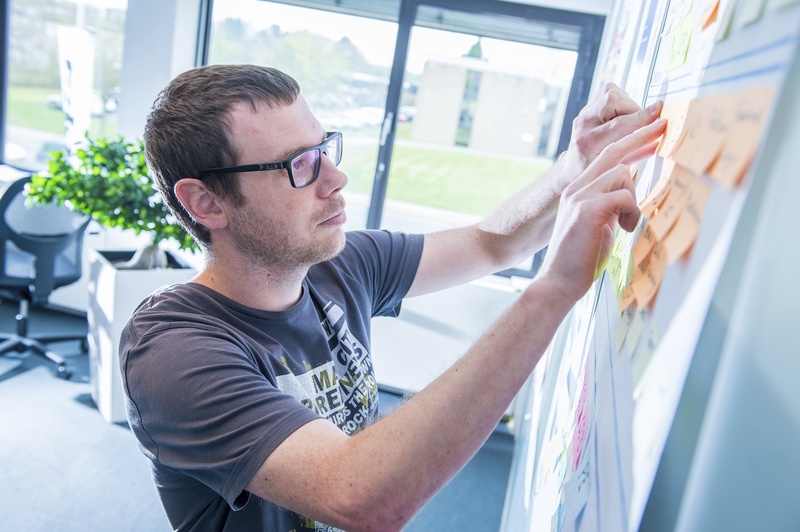 We apply Agile as well as KanBan processes to create and maintain product ecosystems that are alive and kicking. 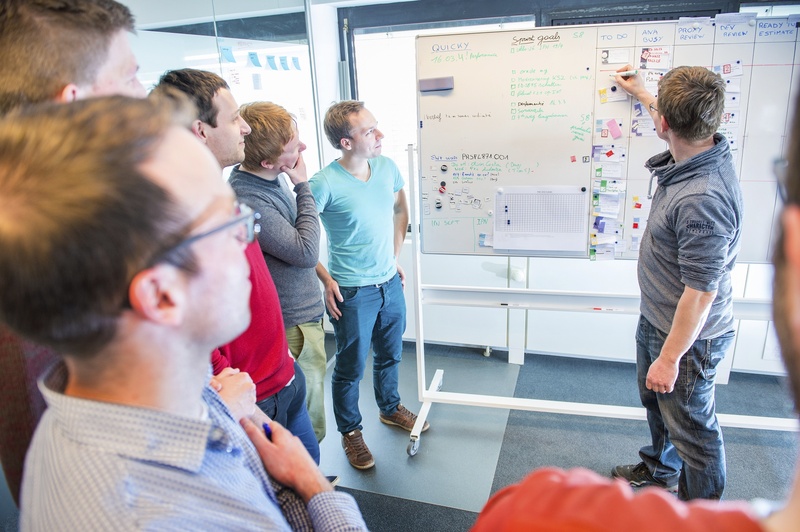 Scrum is a framework of planning and communication techniques that emphasize collaboration between developers, the business and its customers. It involves iterative development, product and sprint backlogs, user stories, daily meetings, follow-up, evaluation and adjustment. XP is an adaptive software engineering methodology that is focused around a core of best practices: incremental design, test-driven development, pair programming, shared code, continuous integration and continuous build. This approach to managing knowledge work optimizes the entire development process by visualizing the workflow, limiting work in progress and measuring lead times. 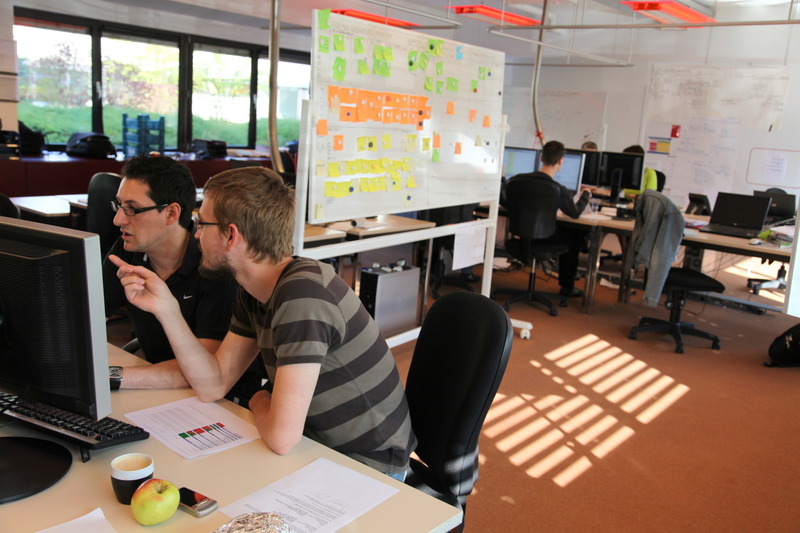 Kanban keeps our teams on track and working at the perfect pace on the right tasks. Sometimes considered a culture or movement, DevOps is a communication and collaboration approach that makes sure that software developers, quality assurance and operations experts are aligned. Software building, testing and releasing processes are highly automated. We act as if every product is our own (T&Cs will rest you assured they are yours, though). Our associates are able to rally around your organization’s flag and lend mind and soul to your product. We don’t sell false hopes. We only make promises we can keep. Treating every Euro, GBP or Dollar as if it were our own. We have an eye for your bottom-line profits. Each software product we help develop, grow and maintain helps us grow and advance on our journey. How to build in quality from the start? In a world where everything is enhanced by software, clean code is one of the fastest ways we provide business value to our customers. In this paper we explain best practices in software development and testing, which all contribute to producing clean code, i.e. optimal code quality.